Another pic of the result of the Storm of 93, my parents place. The yard became a marsh that night. Advertisements like this thread are how Miami to Palm Beach ruin and "San-lando" happened. The Big Bend is a horrible place and there are no fish here. This area is far from Miami to Palm Beach and I'm betting bragging a bit about the area isn't going to make a bunch of developers run here and...well...develop. There are no beaches, it's not conducive to development, and most of the area is shallow water that often is a ***** to navigate. My money is on not many are going to come here to try to sample what the area offers except for inland. Your mileage may vary. "And the ocean is howling for the things that might have been..."
I grew up in Tampa, it used to be a nice place to live. Spent a lot of fishing days out of Homosassa and Chassahowitzka, those are nice areas too. Then about 25 years ago I discovered Steinhatchee. So I got myself a little place up there. The real estate boom did a lot of damage there but, the thing I like best about Steinhatchee is there are NO BEACHES so there is no reason for most of the people that come to Florida to go there. Oh yea I forgot to mention the place is overrun with sandspurs and no see-ums too. See the beginning of the end thread. My posts are my opinion only. The original room was built with all hand tools as power wasn't run off the main road till around 64 or 65. Dad sold the cabin in 68 or 69 to a man named Bob Foreman. Bob had a piano repair shop in Tampa, he and his wife retired there in 1980 or so and lived in the cabin until the 93 storm wrecked it. They then built a stilt house which their daughter owns today. The cabin was on a bay off Black Creek and roughly 1/2 mile north of the double bridges on Ozello Trail. 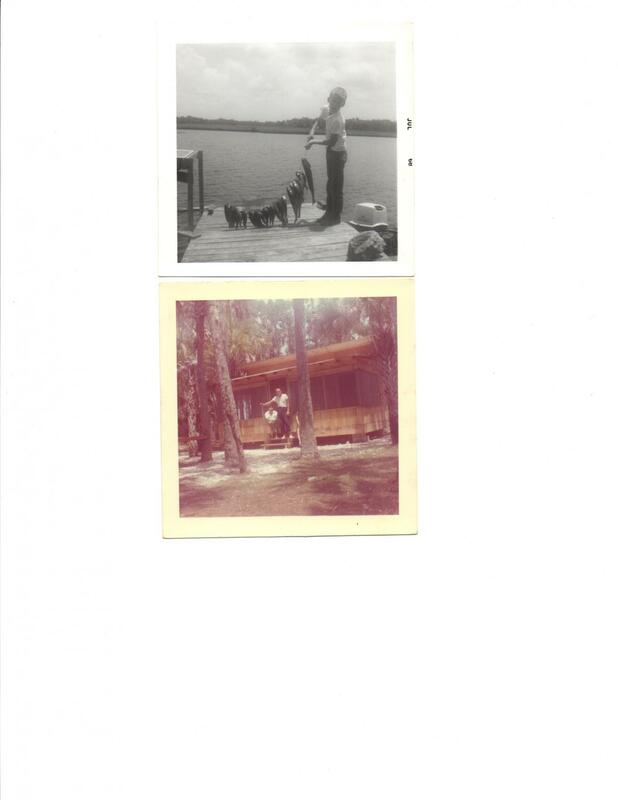 This little cabin was built on the same bay around 1960 by Frank Thrift, a banker from Ocala. We looked at a place on Ebbtide. And a few in the Black Creek area. The house was yellow, I think, and since sold. We've stayed on the bay (St. Martin ?) in a friends house and nearly bought a little cb house there, been in the same family for decades. Perfection to me but not to the rest of the family. 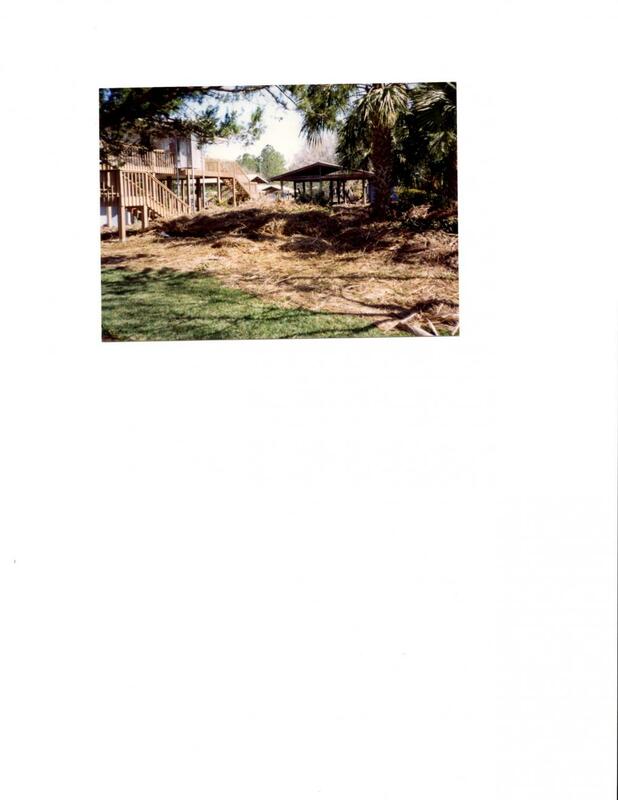 It was very, very low and in '93 the water was window deep - took out the back wall when it receded. Strange, isn't it? What attracted us to this area is unappealing to many. In 1962 Tennessee investors, later incorporated as Suncoast City, Inc., purchased about 1700 acres and 17 miles of waterfront in the area near the present Fort Island Trail and extending to the Gulf of Mexico. 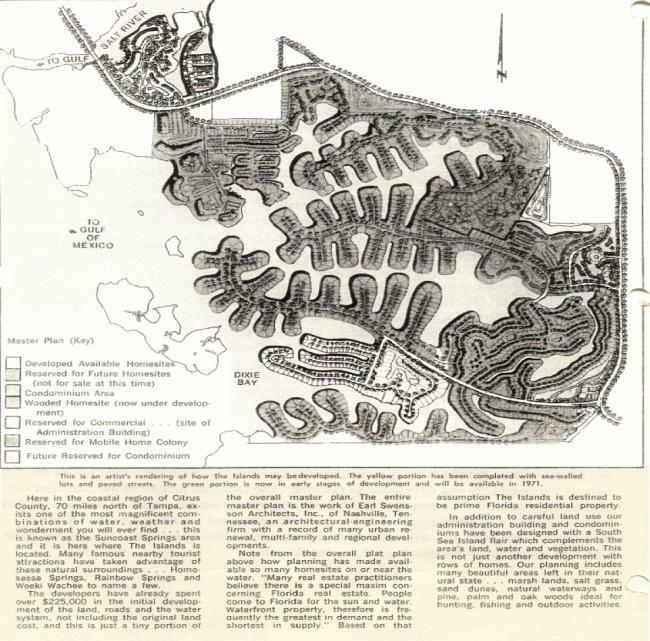 The original plan for Suncoast City included single homes, condominiums, mobile homes, churches, schools, shops and a shopping mall and a hospital. At the time, no roads in Citrus County extended to the Gulf and Fort Island Trail extended only to the Salt River. In 1966, as part of an agreement with the County to complete Fort Island Trail to the Gulf, Suncoast City deeded 15 acres to the county for the proposed Marine Science Laboratory and 22 acres for what is now known as the Fort Island Beach Park. The size of the proposed Suncoast City was immense. For example, it was anticipated that more than 25,000 residents would reside in the Suncoast city complex. The better known portions of the original project that now remain are Dixie Shores, The Islands, Woods and Waters and Twin Rivers Marina. Color me selfish maybe, but I'm thankful the rest of this wasn't completed. Can you imagine? I don't know if our situation is unique, but we've lived 44 years in an area surrounded by several hundred thousand acres of National forest - dotted with lakes, springs, rivers, swamps, piney woods and dry sand hills. Better than 20 miles to the nearest hospital, 40 minutes to the nearest mall (or so I'm told :grin), haven't been there in years. It is still a culture shock when driving through Crystal River and Homosassa Springs, almost any time of the year. It's an adjustment having neighbors 20 feet away - but I enjoy being able to walk day or night, bike safely day or night, kayaking. At least where we are it is quiet and peaceful - no traffic but local. These kinds of neighborhoods, roads built through marsh, houses built on fill, dredged canals - are a thing of the past. That's a real good thing, isn't it? Love all the pics from 'back when'. Couldn't agree more. I moved here after growing up in Key West and the reason I ended up staying was the water. We have every kind of water here ! Springs to saltwater , bluegill to grouper and close to everything else in between. We may not have all the glamor species but we have plenty of the others. Take a jig and a spinning outfit ANYWHERE in the state and you will not have as much action as here on a decent day. I may have said too much. Gil Stoney and Dixie Hollins owned most of that land out Ft. Island Trail to the west. 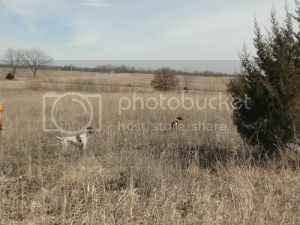 I am glad to only be a bird hunter with bird dogs...being a shooter or dog handler or whatever other niche exists to separate appears to generate far too much about which to worry. Man I wish I owned that place! It looks great. I live in Spring Hill (while not at school in UF) and have moved here from the Philippines. People from back home and even other parts of Florida can never believe us when we talk about shallow it is up here. Sure, grouper and scallop season is a mania over here but honestly in the inshore part (my favorite) there's almost never competition with other boats when you're up by Chazz. We were just out today, saw some manatees, dolphins, and I saw the biggest redfish in my life so far in a creek (also saw the first definitive redfish tailing). We didn't catch anything but man is it beautiful up here. I was telling my stepdad as we were out, people who move here and either are renting a boat or pontoon won't or can't go to our areas so it keeps us safe lol. Now if only I could figure out how to catch snook here and maybe tarpon we'd be set. Go Gators. After finishing up at UF in 1999, we bought 5 acres here. It's home, now. Today, was very beautiful out there (then by 10 or 11 the armada came out and it was time to call it after a nice red to start of on the oysters, followed some nice trout, a 15 in mango) sight fished in my newly found spot/honeyhole. You just have to get out and explore. I have only fished here about a half dozen times and enjoy find new spots on my own. I've yet to try tarpon up here. not sure if they want prawn imitations, pilchards, threadfins, crabs or when to feed em which, let alone how to even try to flyfish for em w/o that knowledge? or how far out there run or if there even here now?????? Yesterday I fished Anna Maria Island/Longboat Key for tarpon in 15-20 knt winds... Today Crystal River, not nearly as windy here.. What a difference there is in the ecostystems, to say the least! Both are spectacular places. The scenery here is so uniquely beautiful. Just remember when exploring, give others wide berth, don't just run up right past em like too many yahoos did to us today. avoid weekends! Tarpon are here! They are migrants passing through. Bayport is known for good fly fishing for tarpon apparently. You have to pole or quietly trolling motor for them North of Pine Island-sh I think. I was told one was hooked a mile off Pine Island very recently on a corked pinfish and another captain said they started showing. Normally in June I'll see a few boats poling for them. We haven't tried it ourselves yet. Visited Mullet Hole for the first time. 'Educated' some folks fishing there about smoking mullet and making dip. Walked the path to a causeway (that's what it looks like) and passed a quarry pond (my description) on the way back. The area looks like dredge and fill. Does anyone know the story? I've only been fishing this area for going on six years but have fished many places over the good ole U.S. of A. including twenty years in the Panhandle of Florida. So I'm not a rookie to either fishing or this great State. 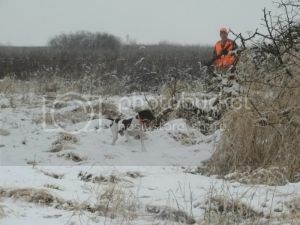 It seems that many go out and have great days in our area. Many reports back this up. The fishing in shore fishing is usually good and the offshore too, until the red tide, which we can't control. My point is this area has captured what I feel I was meant to do for the rest of my life. Back country fishing, most times with no one around and plenty of fish, means letting one go to a place that we often need in this busy life. Often the scenery is worth the trip. And even the busier areas seem to allow most to fish without people stacked up side by side. I wouldn't even think of living anyway else. The fact that the Big Bend forum shares so much is a good thing. I realize that it does open us up to "lurkers" but the trade-off is meeting a bunch of great fisherman. And learning from each other. One can argue we don't always share the same beliefs but we all share the love of the water and I haven't met anyone on this site that I wouldn't invite to the Garagebar. Yeah, this is a little sappy, but it's a rainy day and I'm feeling a little sensitive today so thought I'd share my feelings on what we have and what we should try to preserve going forward. Now...back to your regular scheduled programming. A little farther North you have to get in line and wait your turn..
probably dredged for road bed fill. The greenhole on Ozello trail was for that. I love the area. Just don't get back much. While a little north of the subject areas already discussed, we spent many a summer in Dekle Beach as a kid in the late 80's and early 90's. The old store, long dock (with holes and missing boards), and some of the most worn down ole cracker shacks you could ever imagine. I remember leaking roofs, 2 old ladies, and a small arcade that never got old. Something like $75 or $80 per week to stay there. Parent could let us roam around and go wherever we wanted without any concern over safety. We came back every year (from a Gainesville, so not too far). This was my early life experience with the Big Bend that's stuck with me. Storm of 93 brought that to an end. We went back one time after the new houses were built at Egret Landing (IIRC) and it wasn't the same. Haven't been back since that one time. Too many good memories as a kid, but not a place I'm taking my kids because they can't even come close to experiencing it the way we did. SAVED BY THE BLOOD OF JESUS! I have been truly blessed.